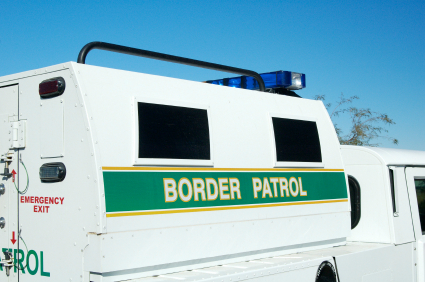 The Border Patrol has had its share of problems and bad publicity. Now the family of a man killed by an agent is pursuing a lawsuit. This doesn’t help. TUCSON — The family of a man who was shot to death by a Border Patrol agent says the agency’s hiring practices are partly to blame for the death. Francisco Dominguez-Rivera’s family says the agency should have known of Nicholas W. Corbett’s history of “ethnic hatred” before allowing him in the field. Corbett was tried twice in 2008 on charges of killing Francisco Dominguez-Rivera, a 22-year-old immigrant who was making his way back to Mexico through the desert near Douglas when Corbett arrested him. After nearly hitting Dominguez-Rivera and three others with his vehicle, Corbett arrested the group and, without provocation, shot Dominguez-Rivera “execution style, within a firing range of approximately 3 to 12 inches,” according to the federal complaint. Posted: 8/26/09 at 9:02 AM under News Story.